As I stated in the last post, even though those who joined Jared and his brother in their pursuit of a Promised Land were the most righteous, they still were victims of their culture. How can I say that? Well, let’s look at how God worked with them as they made their long journey to the New World. First, while telling them they would journey to a Promised Land, God purposely failed to let them know where that Promised Land would be. For a group of people coming from a culture that prided themselves on having complete control of any situation, this aura of mystery had to be frustrating. 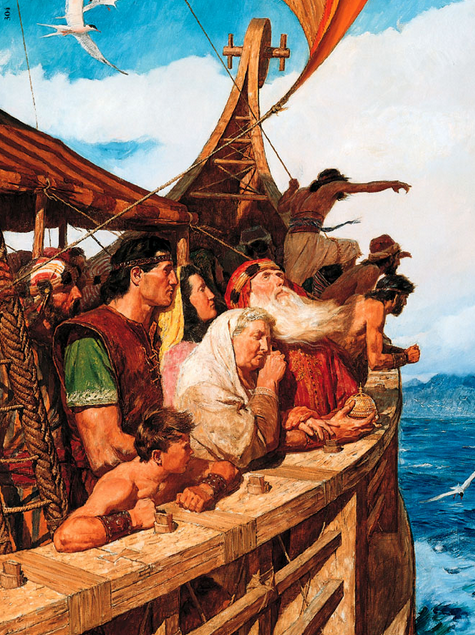 When they finally arrived at the seashore, God had them wait there for four long years. In the beginning of that stay, I am sure the people wondered if this was their destination or simply a resting place. As time went on, they likely decided that they were at the Promised Land and began to sink their roots in what they thought was their new home. So God created a perfect cure of this cultural cancer. 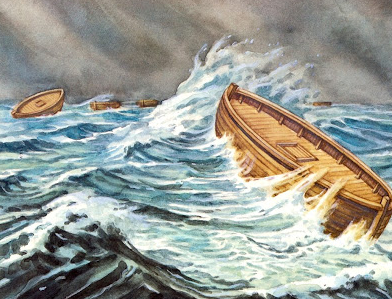 He had them build barges that would ferry them across the deep. The key to these barges was that there was no way for the people to navigate them. There was no steering mechanism. There were no windows. In fact, they were holed up inside the enclosed barges for the entire trip. Think about the faith it took for these people, coming from a culture of control, to put their families in barges and simply sit inside hoping that God would be true to His word. Why would God treat these people like this? What was He trying to teach them? This is not how God treated Lehi and his family. They had a boat, sails, a rudder, and a compass. The Jaredites got nothing but air holes and light. What was God doing? How does this experience have relevance to us? I will attempt to answer these questions on my next post.